Save time and money with the body shop alternative! Call 585-563-4848 or Text 585-752-5791. 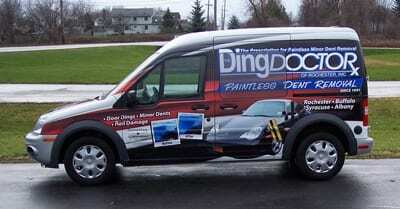 Offering paintless dent repair (PDR), ding and dent removal for cars and trucks. Save time and money! Call 585-563-4848 or Text 585-752-5791. 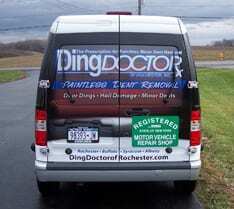 Ding Doctor of Rochester, NY has been in business for over 25 years removing dents from all makes and models of automobiles. Serving all of Rochester, New York, we offer free on-site estimates by appointment only. We accept auto insurance so let our experts quickly and painlessly repair the dents in your vehicle without removing the paint! When the work is completed by a highly skilled technician, most dings and dents can be repaired without a trace. 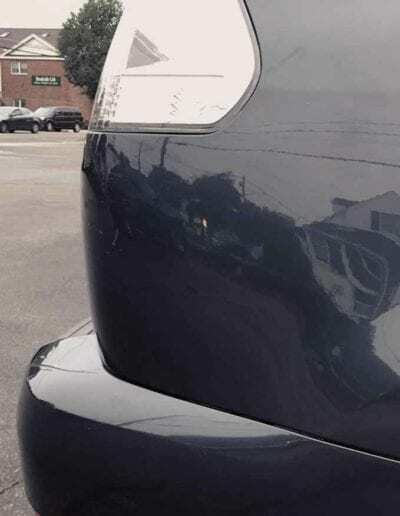 New techniques have been developed that can repair the ding with the original paint in place. 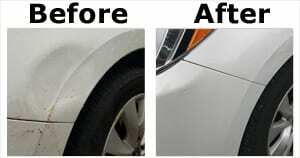 Paintless Dent Removal is a technique to remove dents often up to the size of a football or larger. There are a number advantages for paintless dent repair, such as maintaining the original paint on a vehicle. 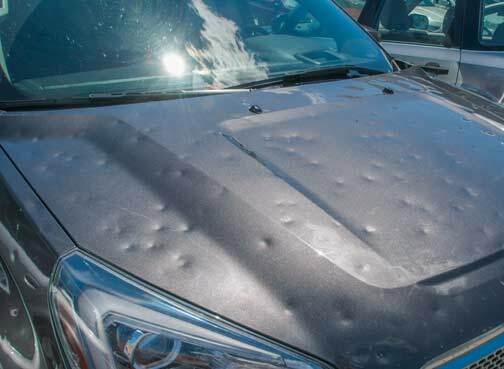 Does your car or truck have hail damage from a recent storm? The Ding Doctor of Rochester has a four-step process that will ensure the hail damage to your car or truck is repaired promptly. 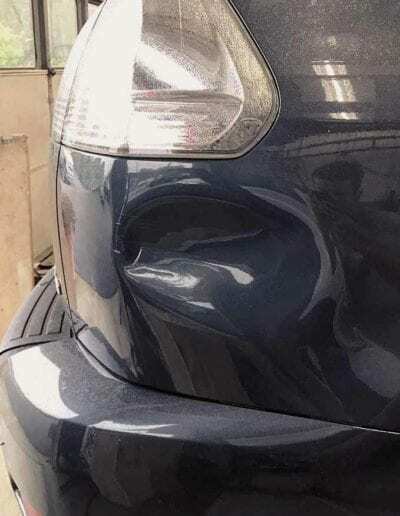 Paintless dent removal (PDR) has become widely used over the past decade by car dealers, rental agencies, and auctions to prepare vehicles for resale. Yet very few consumers are aware the process exists. Specially fabricated tools and techniques for PDR have been developed to remove dents, dings and/or hail damage, while preserving your factory finish. No sanding, body filler or repainting is necessary. In most cases, when the process is complete, the dent is no longer visible. Ding Doctor of Rochester offers consumers convenience and quality while saving them time and money. The general public is not aware that paintless dent removal is even available. 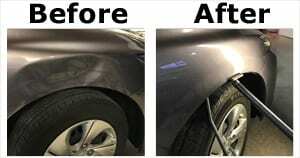 PDR is becoming more widely used because the size of dent that can be repaired has increased over the last few years. They have developed techniques to repair a dent the size of a football, and just a few years ago we were only repairing dents the size of a tennis ball. 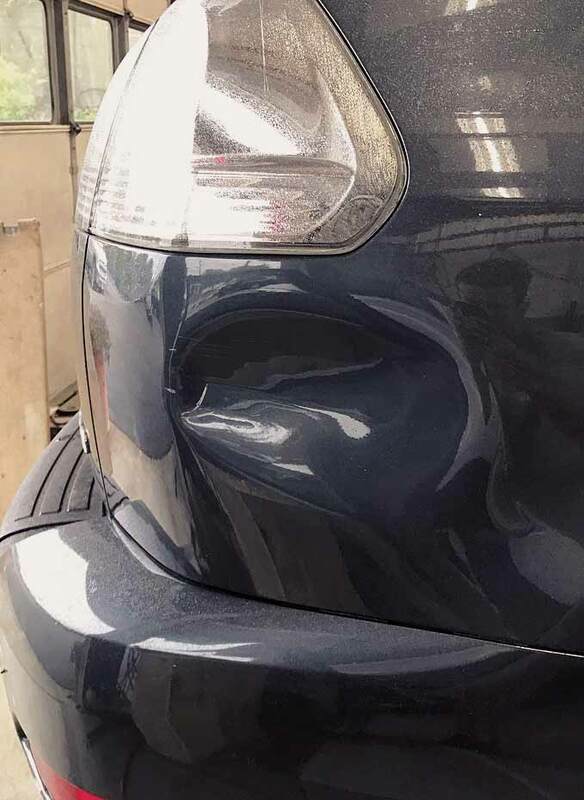 The widespread use of high-strength metal and resilient paint finishes has allowed PDR to become a viable alternative to traditional body repair techniques. In fact, some insurance companies will even waive the deductible if PDR is chosen over more traditional techniques, so call our experts at Ding Doctor of Rochester Inc. today at 585-563-4848! Or text us at 585-752-5791! We proudly service the following areas: Rochester, Greece, Gates, North Gates, Irondequoit, Brighton, Pittsford, Henrietta, West Henrietta, Rush, Fairport, Penfield, East Rochester, Webster, Ontario, West Walworth, Walworth, Macedon, Mendon, Farmington, Victor, Canandaigua, Naples, Honeoye Falls, Scottsville, Spencerport, Hilton, Churchville, Bergen, Brockport, Hamlin. Call today to see if your area is covered! Ding Doctor of Rochester Inc.
We strive for excellent workmanship, quality customer service and on-time scheduling at competitive pricing. We are fully insured and licensed. For high-quality auto dent repair services, call 585-563-4848 or text 585-752-5791.